Graduation is coming quickly. If you are interested in ordering graduation announcements, letterman jackets or school rings, please join us on February 6. Click for the details. Graduation is coming quickly. On Wednesday, February 6, a representative from Herff-Jones will be on campus to take FINAL orders for graduation announcements for the class of 2019. At this event, any student who have completed a season in a varsity sport can order a letterman jacket. 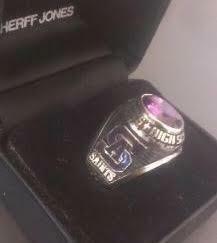 Juniors and Seniors can also order school rings.